Spacious Rose Pointe home in Peaceful, Private End-of-Court Location with Limited Neighbors. 6 Beds + Office + Spacious Bonus/Game Room. Granite and Stainless Kitchen with breakfast bar seating, open to large family room w/ Fireplace. Convenient 1st floor Master Suite w/ walk-in closet & private access to rear yard plus another 1st floor bedroom w/ vaulted ceiling & adjacent full bath. Oversized bonus/game room-perfect for multiple uses. Upper bedrooms w/ ridge views. Hardwood Floors, Andersen French Sliders, New Lighting, Satin Hardware & 6-panel doors thru-out. New paint and carpet, Custom bedroom built-ins, Laundry Room + Storage. Ring Security Doorbell, Newer Presidential-Style Roof, Newer Heat/Air + Whole house Fan. Private Rear Yard with Pool, Fountain, Arbor, Patio, Newer Fencing, Shed & Planter Boxes. Gated Side Yard Access + 2nd driveway. Top-Rated Pleasanton schools. Unbeatable commute access! 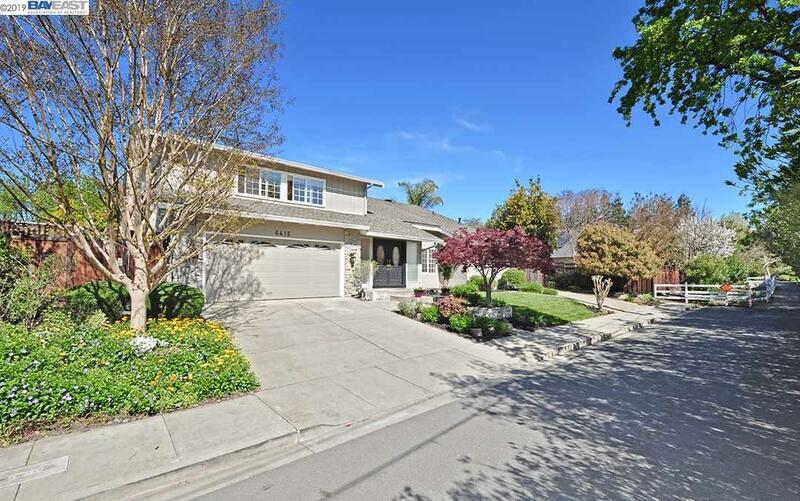 Just minutes to Downtown, Pleasanton Ridge & more.